Smartphone cases are usually defensive in nature to protect your smartphone from any unintentional knocks and drops; there are also cases of smartphones that can give you that extra juice so that your devices can last longer. So have you heard there is a new WEAPONS detecting smartphone case? YES! With this new case from Royal Holdings, your smartphone can turn into a weapon detector to detect any knife, gun and even bomb which could threaten your very survival and those around you. Sounds incredulous? Not anymore. The Sword phone case which can detect weapons. Ironically this weapon-detecting smartphone case is called "Sword". 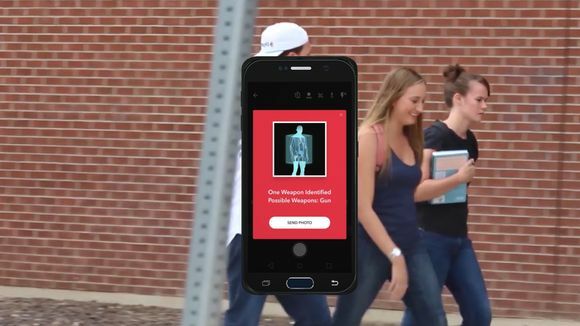 Sword is a 5-ounce smartphone case that can work like a 3D scanner for your detect any possible presence of weapons. The 18 programmable radio frequency (RF) antennas found in the case can scan bags and people to make sure that there are no hidden weapons. 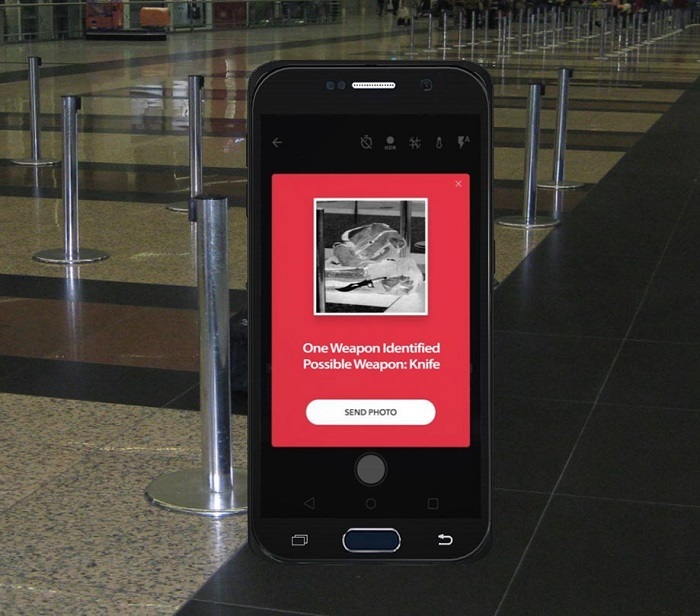 Should any possible weapon is concealed, the Sword App will immediately tell you what it is by running a compatibility matching scan using its weapon's signature database that the company has. Scanning for any possible threat. One weapon identified...even if it is hidden in the bag. Sword which is FCC approved, uses radio waves which is completely harmless to our body. The weapon-detecting case just need a clear line of sight to carry out its duty, scanning people and bags from up to 40 feet away. On top of that, the Sword App can also recognize faces. The facial recognition feature will quickly compares a person's face against an available watch list, and would later alert the authority. Barry Oberholzer who is the co-founder of the company said, "RF imaging and radio-wave-based technology has been around for many, many years...we just found a different application for it." And what an application it will be-one that could save hundreds or thousands of life. So we do not need to worry about something that we cannot see anymore. So Sword turns out to be like a military-grade phone case huh! 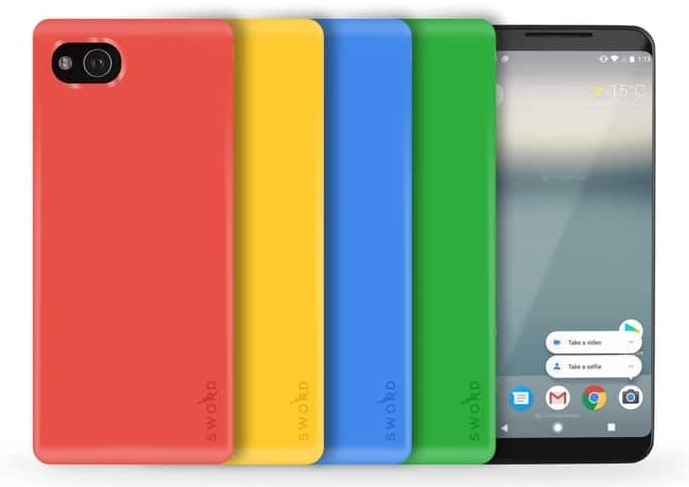 Hence I really hope that this Sword phone case can be made more affordable to everyone, especially American students who are at constant risk of being killed or attacked by weapons since firearms such as guns and rifles are literally everywhere over there. Sword was sadly inspired by last year's terrorist attack during Ariana Grande's concert. If someone had had this Sword phone case, they would have been able to detect the suicide vest. Watch how this Sword phone case could save your life. 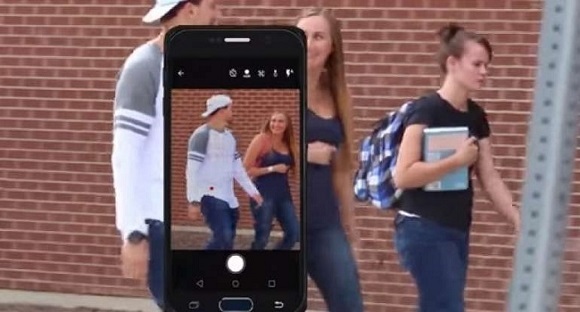 It is obvious that the Sword phone case could possibly help to reduce or even prevent mass shootings at American schools where innocent students are being targeted. However Sword Phone case does have two drawbacks. The first one is the expensive price tag of US$950 if you pre-order now. Once it goes on sale, this weapon-detecting case will have a retail price of US$1250. Such pricing will totally make it unreachable to the masses which is really saddening. 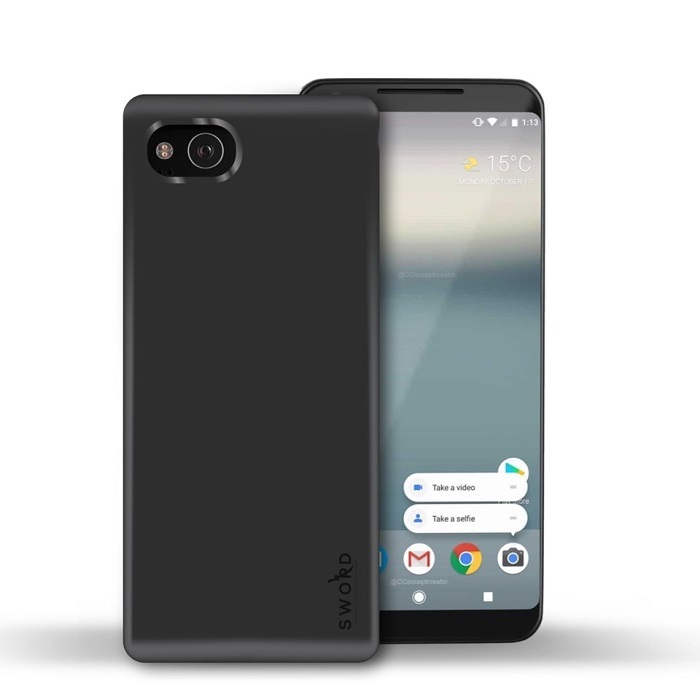 The second drawback is the Sword phone case can only support iPhone 8 Plus and Pixel 2XL for the time being. I wish this Sword phone case can be made more affordable.